Attention! To start the game requires The Escapists 2. Season ticket holders: this supplement is included in the subscription! Listen up! For crimes against the crown you were sentenced to life in a dungeon! Is it time to get a job at a local smithy - or maybe entertain inmates and guards by playing the lute? At your service all the attractions of the castle - including the throne room. You may even get a reward for your exploits in these ancient halls. On this medieval map you will find, create and use many new items that will help you escape from the majestic fortress. What ways to achieve this - you decide: to break through the formidable guards, or still be smart and find another way to overcome the walls and break free - but then how to get over the moat? 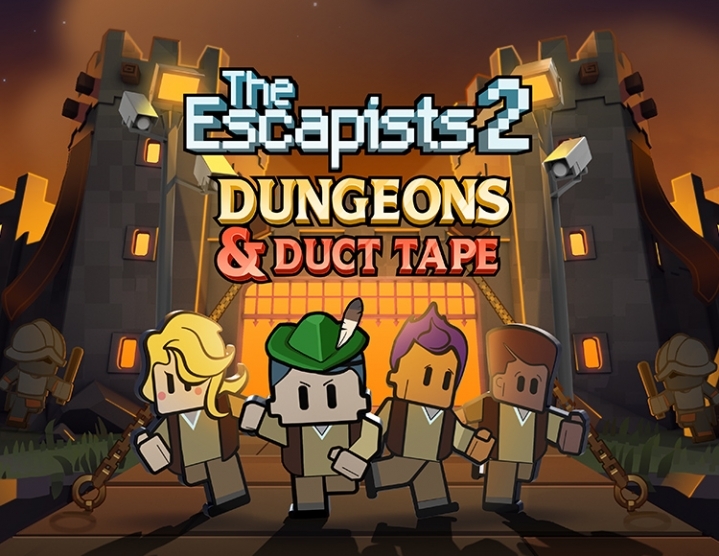 Ready to escape from prison Dungeons and Duct Tape? The prison Dungeons and Duct Tape is available separately and as part of a season ticket.